"[Denny] did and saw things that far exceeded normal levels of fighting, suffering, and killing, and describes many gory scenes.... Ed Denny has a way with words, using fresh similes and metaphors, few clich s, and conveying a sense of awe and wonder. The book tightly held my attention from start to finish." --VVA Veteran; "pulls no punches...a well-organized series of memoirs of both combat operations and base camp incidents both humorous and tragic...a significant contribution to the written history of America's Vietnam experience...the specifics of combat flying are incredibly detailed." --On Point: The Journal of Army History. Combat helicopter pilots in the Vietnam War flew each mission in the face of imminent death. 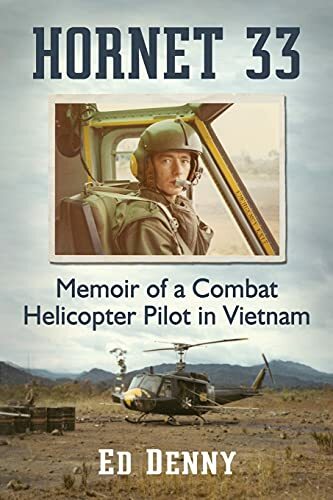 Begun as a series of letters to Department of Veterans Affairs, this compelling memoir of an aircraft commander in the 116th Assault Helicopter Company-""The Hornets""-relates his experience of the war in frank detail. From supporting the 25th Infantry Division's invasion of Cambodia, to flying the lead aircraft in the 101st Airmobile Division's pivotal invasion of Laos, the author recounts the traumatic events of his service from March 1970 to March 1971.